Wimbledon champion Andy Murray survived a minor scare to advance to the second round of the French Open on Tuesday, beating Kazakhstan's Andrey Golubev 6-1, 6-4, 3-6, 6-3. Li Na, the Australian Open champion, followed her male counterpart Stan Wawrinka out of the French Open in the first round when she lost 7-5, 3-6, 6-1 to local favourite Kristina Mladenovic on Tuesday. 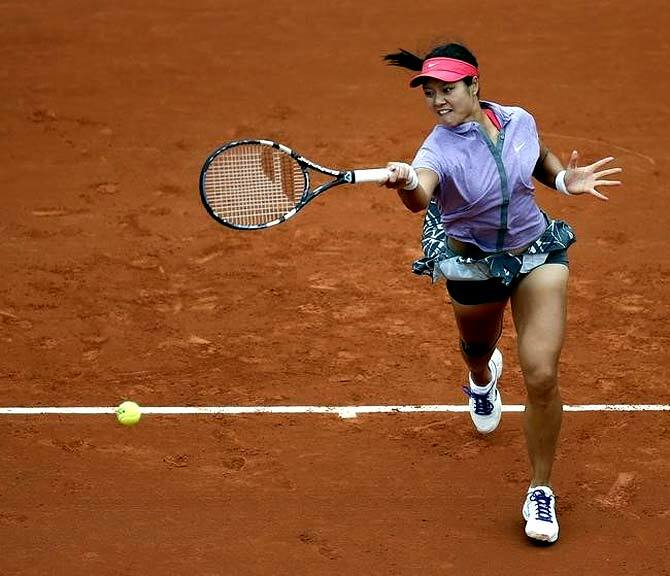 The second seed from China, who won the Roland Garros title in 2011, admitted she had handed her victory to the Frenchwoman through her own failings on another chilly day in Paris. "I think it doesn't matter who plays today against me, I always lose the match. Today I just gave it away," said Li. "Nobody says if you're No. 2 in the world you have to win all the matches. "The problem is myself, I don't think I'm doing well on the court. I didn't think totally what I should do, like especially I didn't follow the game plan. In my mind I didn't have any idea how to play the match." It was the first time men's and women's Grand Slam champions have been knocked out in the following major in the first round. 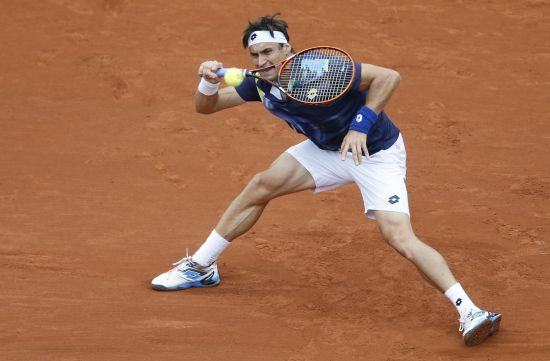 Wawrinka, the Swiss third seed, lost to Spain's Guillermo Garcia Lopez in four sets on Monday. Once dubbed the next big thing of French women's tennis, Mladenovic saved two set points in the opener, lost focus in the second but stepped up a gear again in the decider to wrap it up on her second match point. "It's incredible, without you I couldn't have done it," a weeping Mladenovic told the cheering crowd. "When such a player comes back in the match, you know you will have to seize every opportunity," she added. Another young Frenchwoman, Caroline Garcia, offered far fewer problems to 2008 champion Ana Ivanovic on the same court. The Serbian won 6-1, 6-3 to join the 2009 title winner, Svetlana Kuznetsova, in the second round. Caroline Wozniacki's return to tennis and the public eye after her breakup with golfer Rory McIlroy ended in more pain on Tuesday when the 13th seed was knocked out in the French Open first round by Yanina Wickmayer. The Belgian won a high-quality baseline battle 7-6(5), 4-6, 6-2, condemning Wozniacki to her first opening round defeat at Roland Garros since her debut in 2007. The players swapped breaks of serve in the first set and the advantage swung one way and then the other in the tiebreak before the Belgian ended a superb rally with a backhand crosscourt winner to take it. Wozniacki, 23, wasted five break points in the sixth game of the second set but made amends with the score at 5-4 when Wickmayer, serving to stay in the set, netted a simple forehand to bring the Dane level. But Wickmayer, going for her shots, hit back immediately by breaking Wozniacki in the first game of the final set and again in the fifth. The Dane broke back thanks to a lucky net cord and a fine drop shot but Wickmayer, ranked 64th in the world, was now clearly on top and sealed victory on her first match point after Wozniacki netted. McIlroy, like Wozniacki a former world No.1 in his sport, said he called off the engagement after getting cold feet while sorting out the wedding invitations. The Northern Irishman told the world of his pain at the breakup on the eve of last week's BMW PGA Championship at Wentworth but he went on to win the European Tour's flagship event. Simona Halep, seeded fourth, narrowly missed inflicting the first "double bagel" of the tournament after serving for the match when leading Alisa Kleybanova of Russia 6-0, 5-0. But the Romanian lost concentration and gave up two games before winning on her first match point. "I was thinking at 5-0 that I can win 6-0, 6-0, but wasn't too good," Halep said. "I was a little bit relaxed after that, and it was cold." She next plays British qualifier Heather Watson who beat Barbora Zahlavova Strycova of the Czech Republic 6-3, 6-4. In the men's draw, last year's runner-up David Ferrer, the fifth seed, eased through 6-4, 6-3, 6-1 against Dutchman Igor Sijsling. The Spaniard, who beat world No.1 Rafa Nadal in the Monte Carlo quarter-finals last month, said he was not surprised by the early shocks. "The tennis is very close, it's normal sometimes to have surprises," he said. "It's difficult this sport." Eleventh seed Grigor Dimitrov, one of the young players expected to challenge the likes of eight-times champion Nadal in Paris, found giant Ivo Karlovic too hot to handle in a 6-4, 7-5, 7-6(4) loss. "Today he was all over the court. He was just hitting his shots, you know, penetrating every volley, low slice, serving really good. He always serves good," said Dimitrov. "I just couldn't find the rhythm, and I couldn't achieve any of the little opportunities that I had in the match." 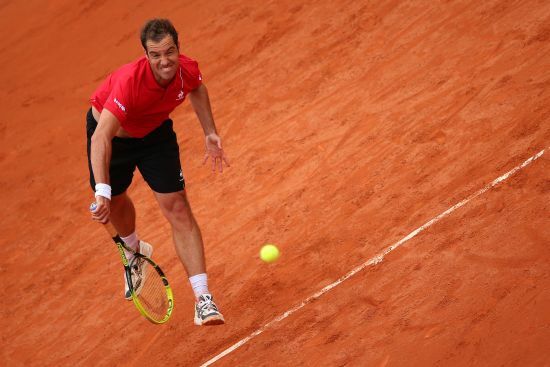 France's Richard Gasquet, seeded 12, won 6-2, 6-1, 7-5 against Austria's Bernard Tomic while former world No. 1 Lleyton Hewitt, who had reached two quarter-finals in 13 visits before Tuesday, lost 3-6, 6-2, 6-1, 6-4 to Argentine Carlos Berlocq. 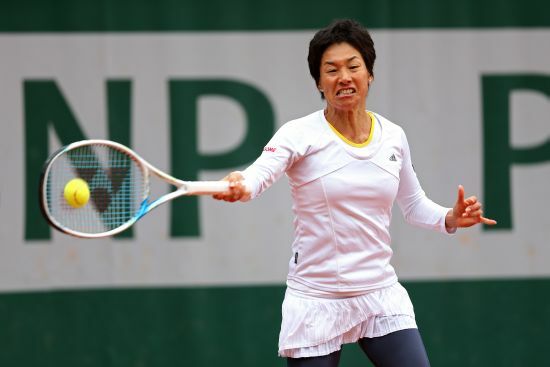 Japan's Kimiko Date-Krumm, the older stateswoman of the WTA Tour at 43, saved four match points but still went down 6-3, 0-6, 6-2 to 24th seed Anastasia Pavlyuchenkova. American 15th seed Sloane Stephens beat China's Shuai Peng 6-4, 7-6(8) and Kuznetsova, the Russian 27th seed, eased through 6-3 6-1 against Georgia's Sofia Shapatava.